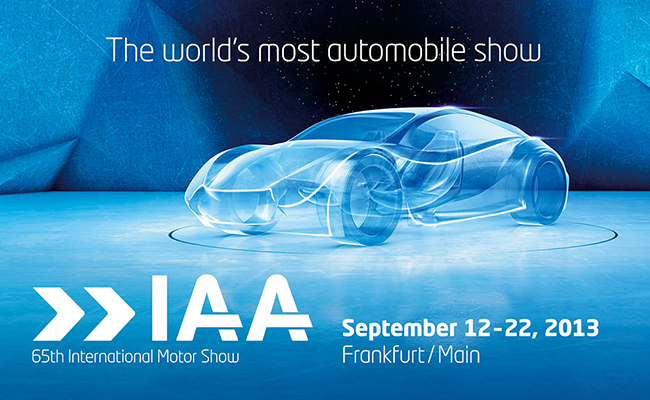 Automotive supplier Brose will be presenting solutions for today's and tomorrow's trends aligned with its motto "Innovations in Mechatronics" at the IAA 2013: new material concepts, high functional integration and innovative drive technologies help design vehicles that are even lighter without sacrificing comfort and safety. Brose will be demonstrating this by showcasing, for instance, one of the smallest and most lightweight HVAC blowers on the market and presenting different design options for future door systems. The mechatronics specialist will also be exhibiting seat structures that demonstrate how the demand for lightweight construction, customer-specific design and global availability can be successfully reconciled in the era of OEM platform strategies. The company is addressing the demand for greater comfort and safety by offering new solutions for the back seat or the hands-free liftgate drive – with a capacitive anti-trap function at the IAA 2013 for the first time. achieving maximum efficiency of more than 80 percent on an international scale. In terms of noise development, it also scores top marks with less than 40 dB(A). Since rare earth magnet material is dispensed with, the system is cost-effective without having to compromise in terms of efficiency. Brose will be demonstrating its global engineering expertise in a joint project between two premium manufacturers: based on a modular principle, the new front seat structure offers both customers tremendous assembly flexibility even when used in different vehicle models. At the same time, the mechatronics specialist sets the benchmark for intelligent, lightweight design: the new front seat structure is around 25 percent lighter than comparable series products. The supplier will be demonstrating its vision of future vehicle doors by showcasing a carbon-fiber-reinforced plastic (CRFP) door system. The prototype features a layered structure designed to withstand specific stresses, saving almost 4 kilograms of weight per door compared to aluminum and as much as 11 kilograms compared to steel. In addition, the concept provides new possibilities for the vehicle assembly process: it performs all of the tasks required of a vehicle door including crash-relevant structural elements. Consequently, the number of components and costs can be reduced thanks to maximum functional integration. The outer door panel painted in the car color need only be mounted and screwed on, thereby reducing assembly time at the OEM's premises considerably. Whereas Brose presented the prototype at the IAA 2009, it has meanwhile been fitted into twelve models of three OEMs: with the successful launch of its hands-free liftgate, the mechatronics specialist is leading the way to a new dimension of comfort features. The innovative system already won two noted awards – the "BMW Supplier Innovation Award" in 2011 and the "Pace Award" in 2012, one of the most prestigious awards in the US automobile industry. The supplier will be presenting a complete system for intelligent cargo management with capacitive sensors for anti-trap and collision protection in Frankfurt for the first time.